After our abysmal meal at Morimoto, we needed a GOOD, consistent, and safe meal. We opted our tried and true, Kanoyama. As I said in my post earlier this month, since Kano got that Michelin star, seats aren’t quite as plentiful. Reservations aren’t terribly hard, but even if you don’t have one, if you show up early enough, you can still get sushi bar seats. Lucky for us, I eat like I’m 80, always going for the early bird special. Show up before 6:30, and you’re pretty safe. For those that don’t want to pay omakase prices, table seats are still fairly easy, and Kano has really high quality platters. 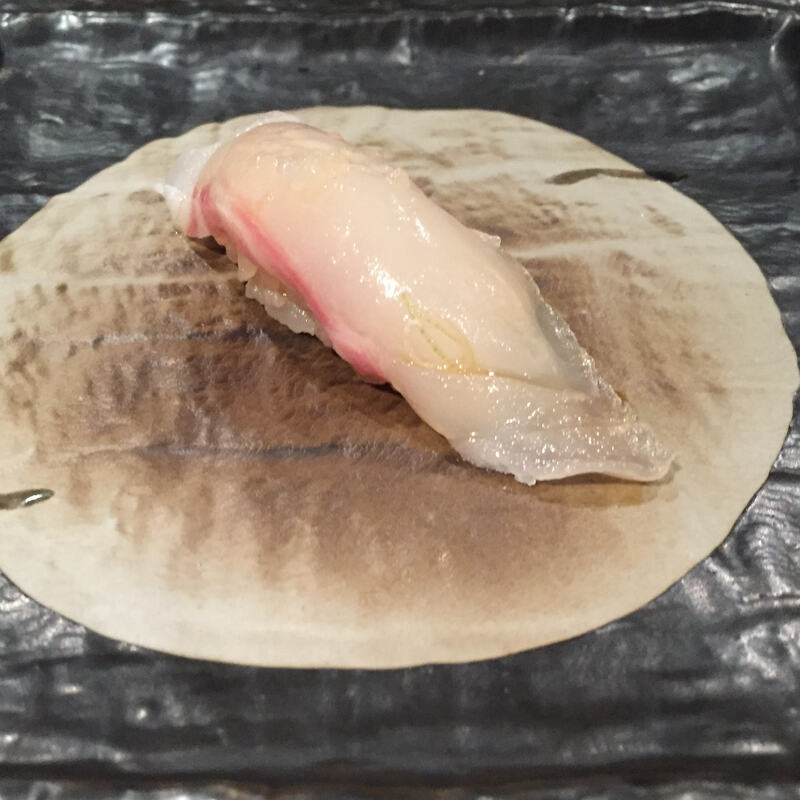 Overall, I have only good things to say about Kanoyama’s omakase, but there is one peculiarity I wanted to share. And it’s not a “negative”, and most people would probably not care at all, but it is just odd, and for me, it’s slightly off-putting. For most omakases, a sushi plate is placed on the counter, and the chef serves you piece by piece, from his hand to your plate. At Kanoyama, they do not have the plate on the counter, instead, they put the plate directly in front of you, too far for chef to reach. 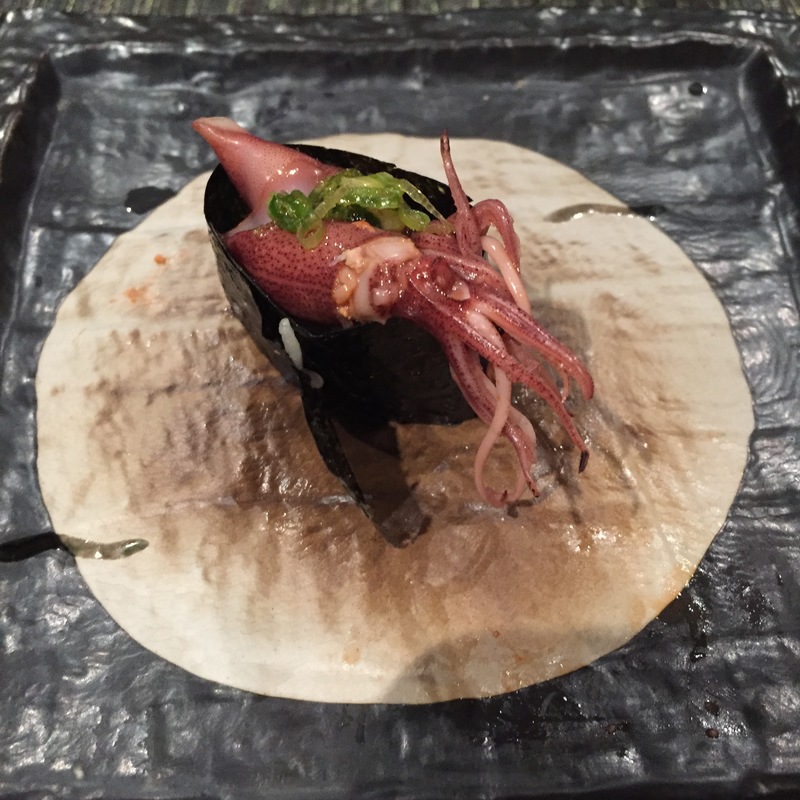 Chef Shoji Iso then places the sushi direct on his palm, and have you retrieve it from him with your bare fingers. Trick is, you’re not supposed to touch his hand. It’s not as easy as it sounds! Especially not after a bottle or two of sake! If you do touch his hand, Chef Iso will give you a disappointing shake of his head, and then go wash his hands. I really want to just request, please just give me a plate, and put my sushi on my plate! I don’t want the pressure! 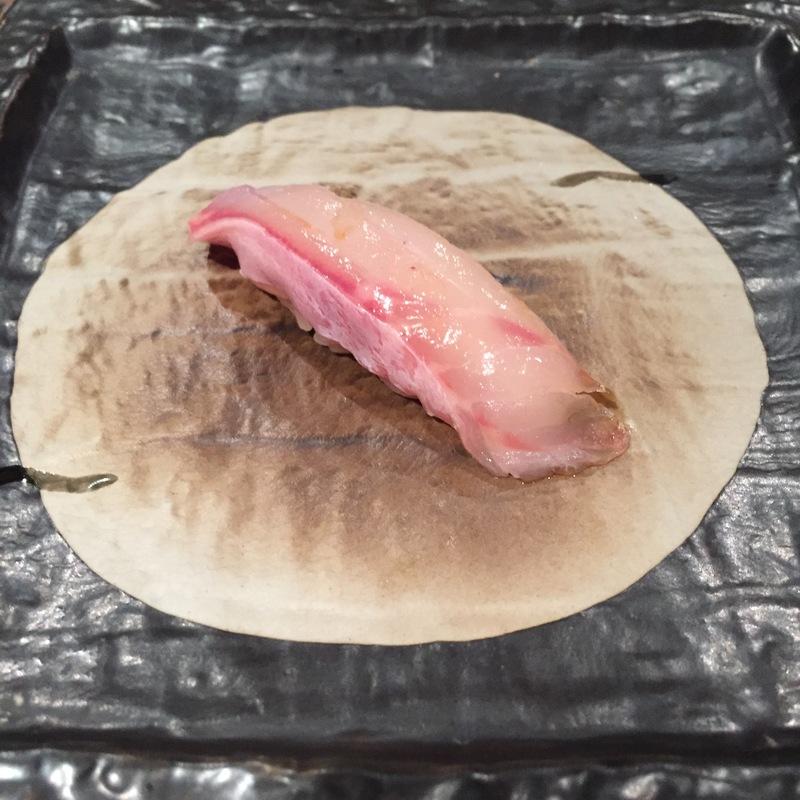 HIRAME (Flounder) – A wonderful way to start. A beautiful, light, bright non-chewy fresh whitefish. SO good! 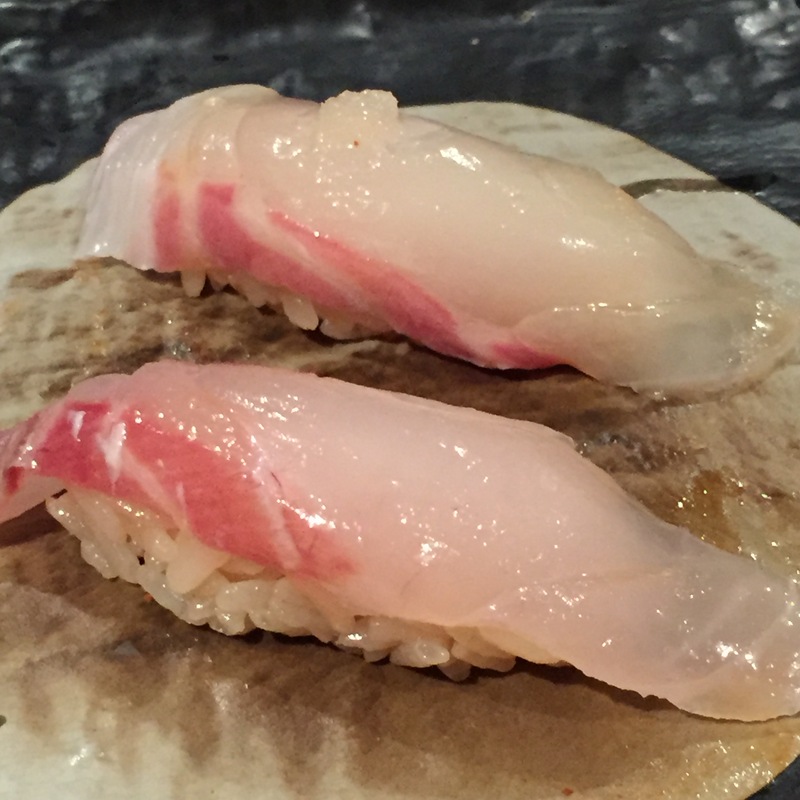 ISAKI (Grunt) – Another super fresh, light, and bright tasting white fish. ISAKIs are a bit fattier than HIRAMEs, distinctly different, but equally as tasty. KISU (Japanese Whiting) – A stronger tasting white fish, almost bordering the silvers. 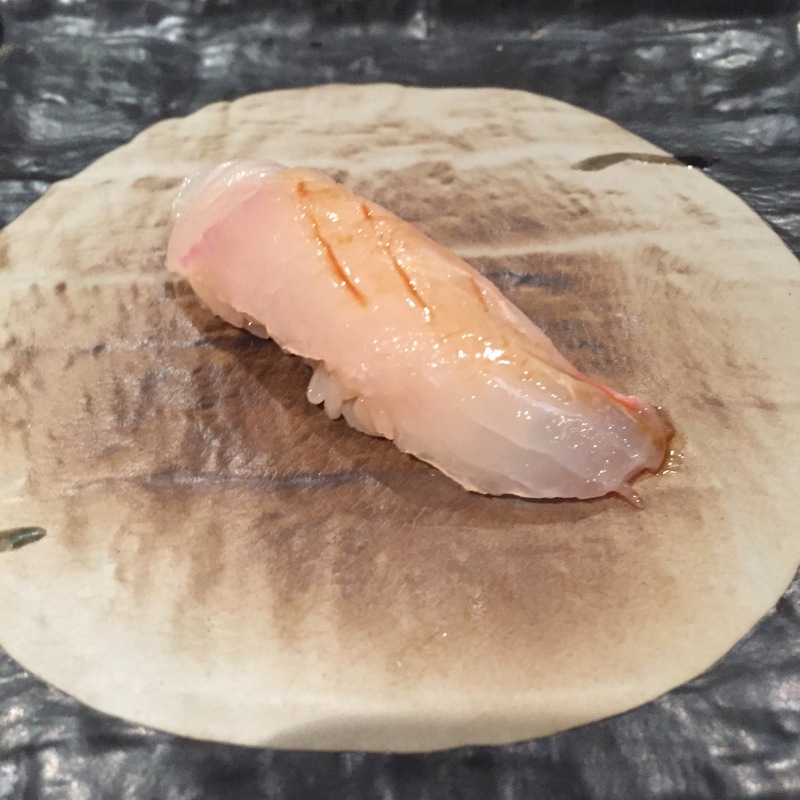 KASUGO DAI (baby red snapper) – One of my favorite white fishes. I have to say though, I didn’t love the egg yolk crumble, thought it detracted from the glorious fish. 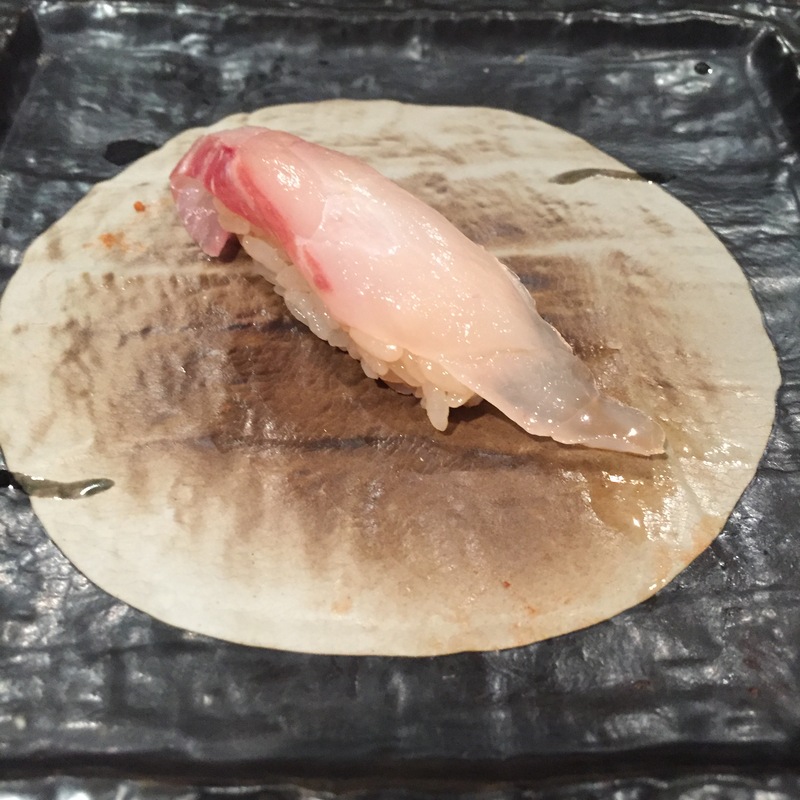 MADAI (Red seabream) – Another of my favorites, and one of the most celebrated white fishes! So simple, so delicate, so good. This is part of why I love Kanoyama so much. Chef Iso always starts with a grouping of the light whites. 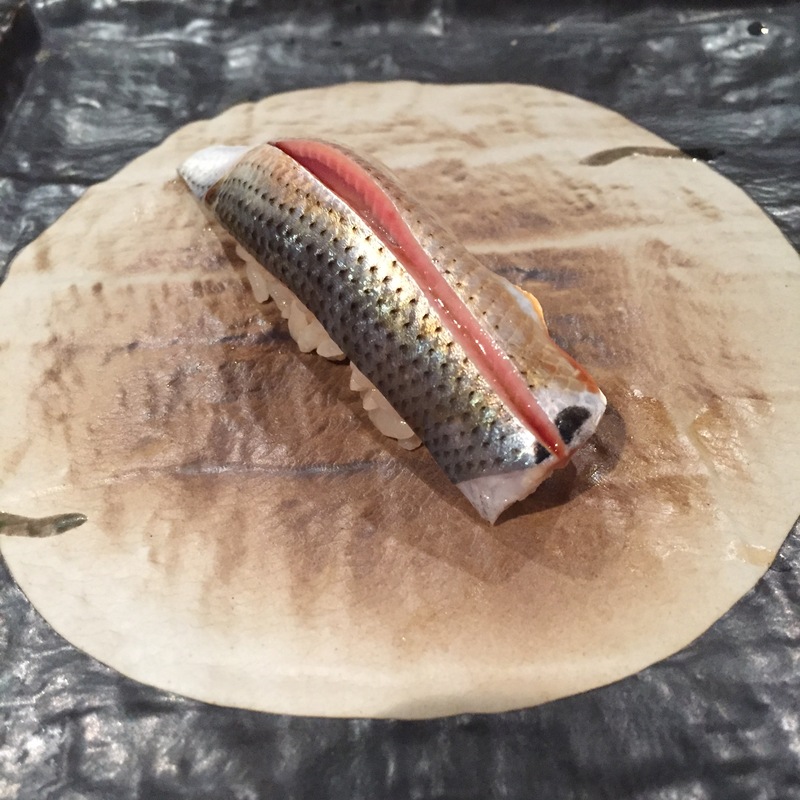 It allows you to taste one after the next, appreciating the slight differences between the fish, and prepares your palate for the heavier, stronger tasting fish to come. 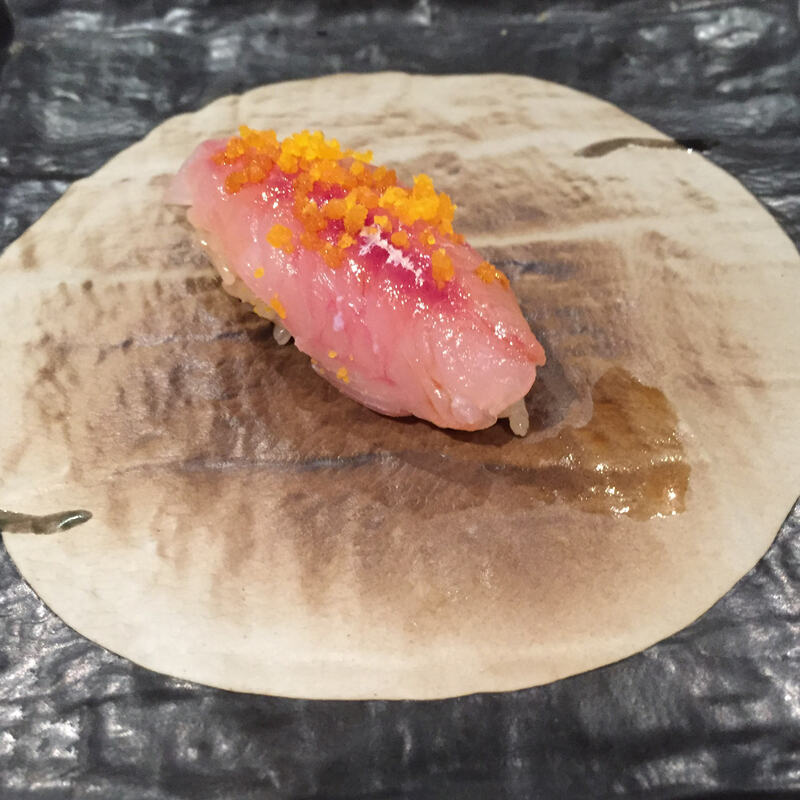 KANPACHI (Amberjack) – Served with a touch of soy, with its signature incredible crunch and gumminess. One of my favorite yellowtails, so good. 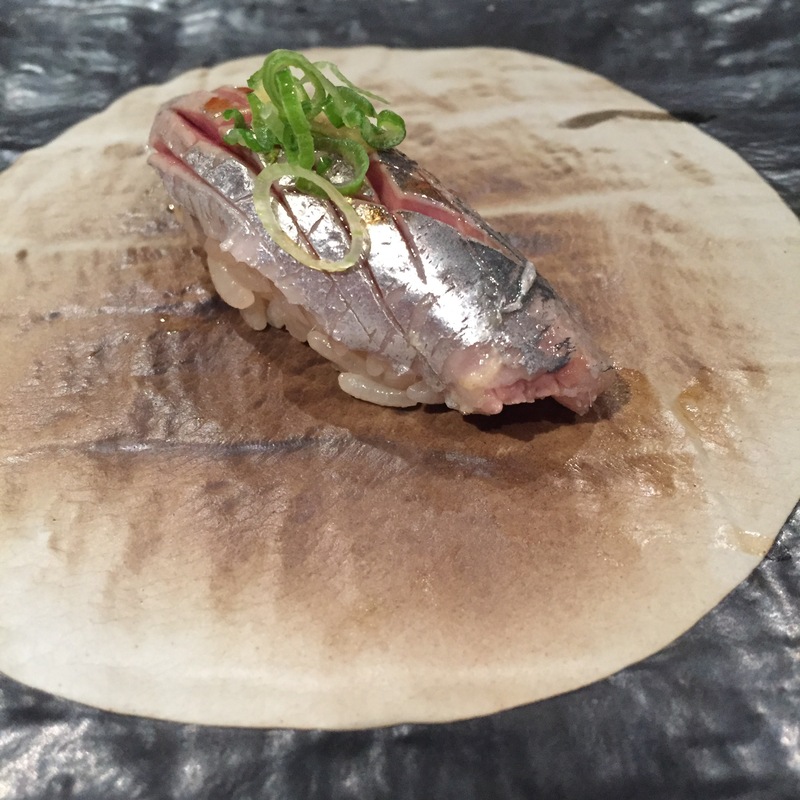 SHIMA AJI (Striped jack) – I LOVE the groupings. 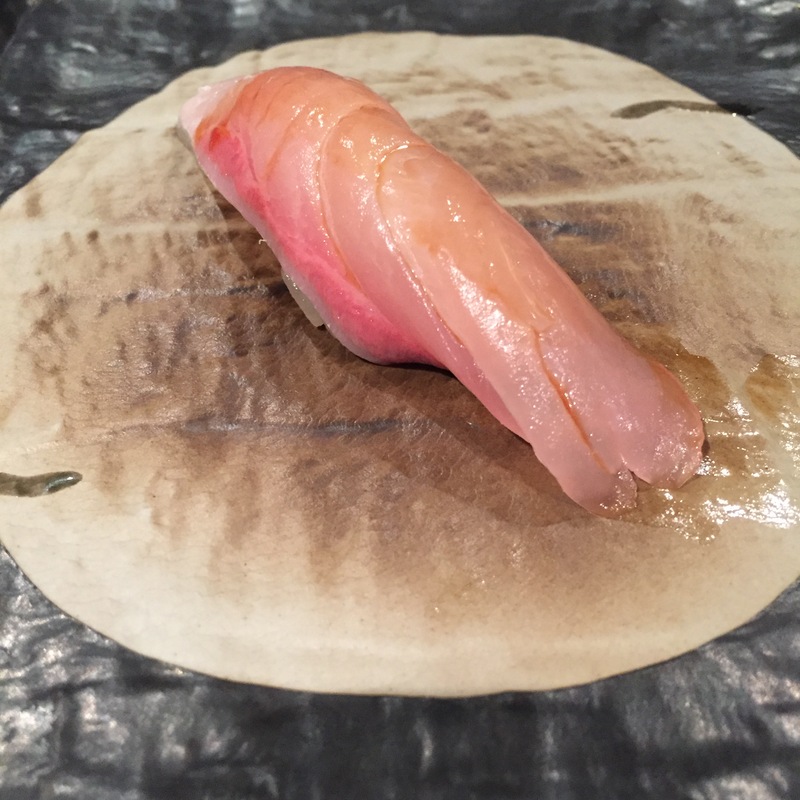 KANPACHI is my second most favorite, and SHIMA AJI is my most favorite of the yellowtail family. When you have them side by side, you really get to savor the difference. 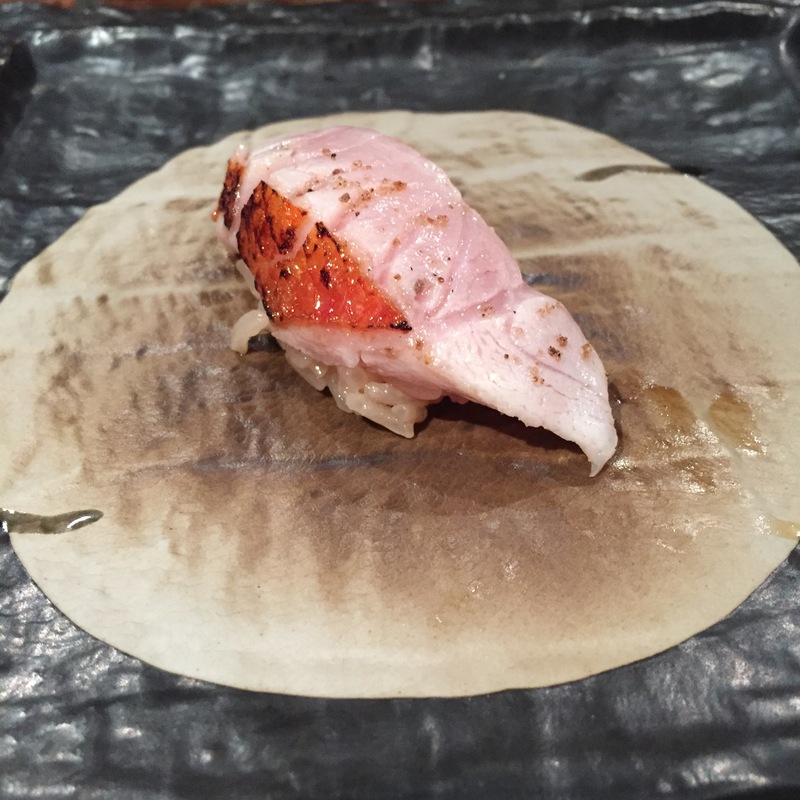 KINMEDAI (Golden eye snapper) – ABURIed (torched) and topped with toasted sea salts. Remember how I said the MADAI is one of the most celebrated white fishes? This one is a close 2nd or 3rd. 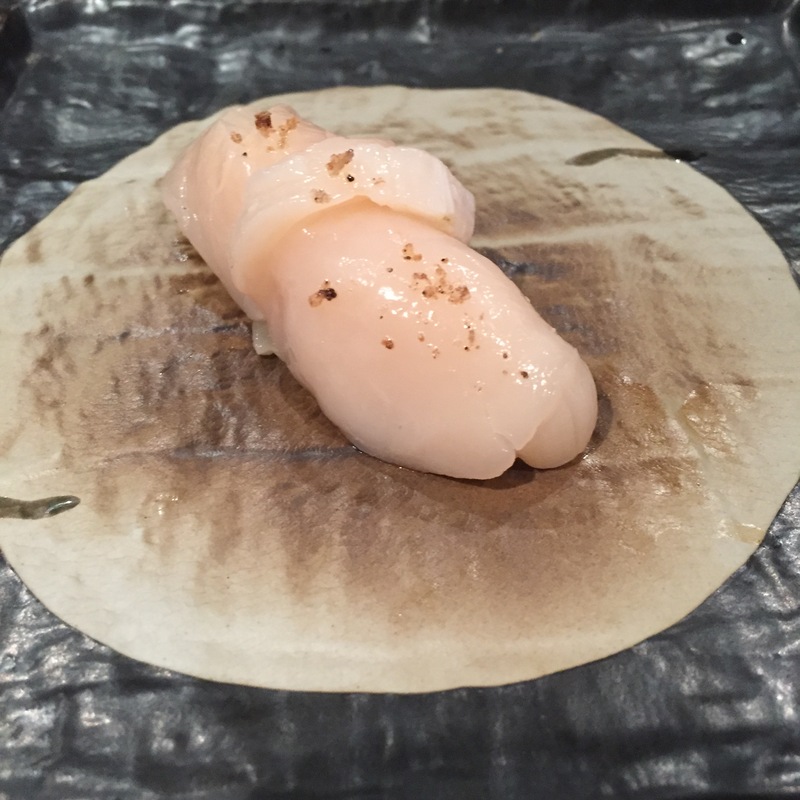 HOTATE (Scallop) – Served with a touch of sea salt, incredibly fresh, so good! 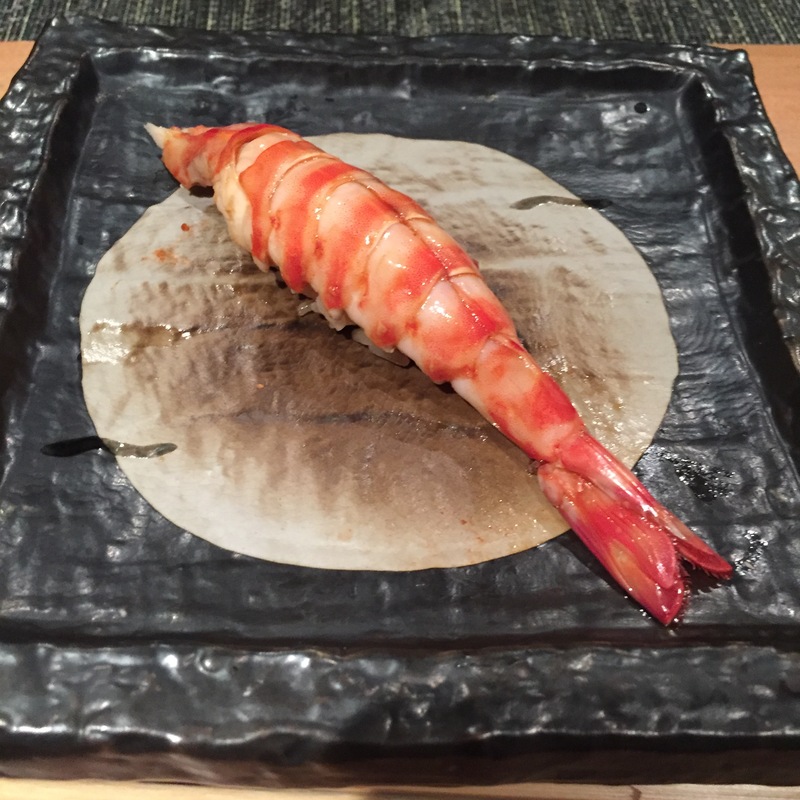 KURUMA EBI (Japanese Tiger Prawn) – My most favorite shrimp. 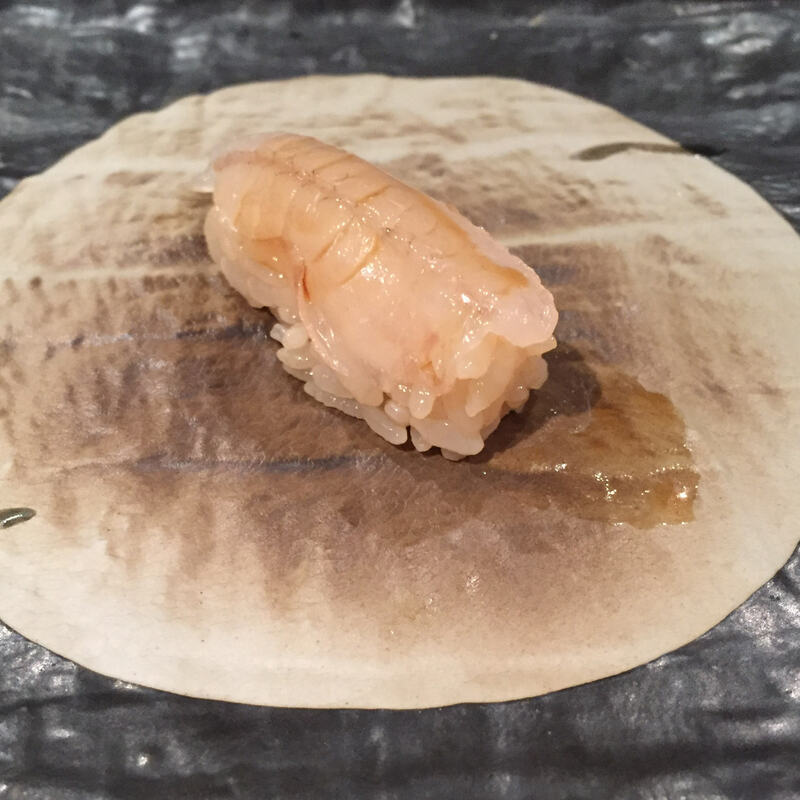 The KURUMA EBI is pretty hard to find in NYC, it’s served poached, but still insanely sweet, and succulent. Just magnificent! 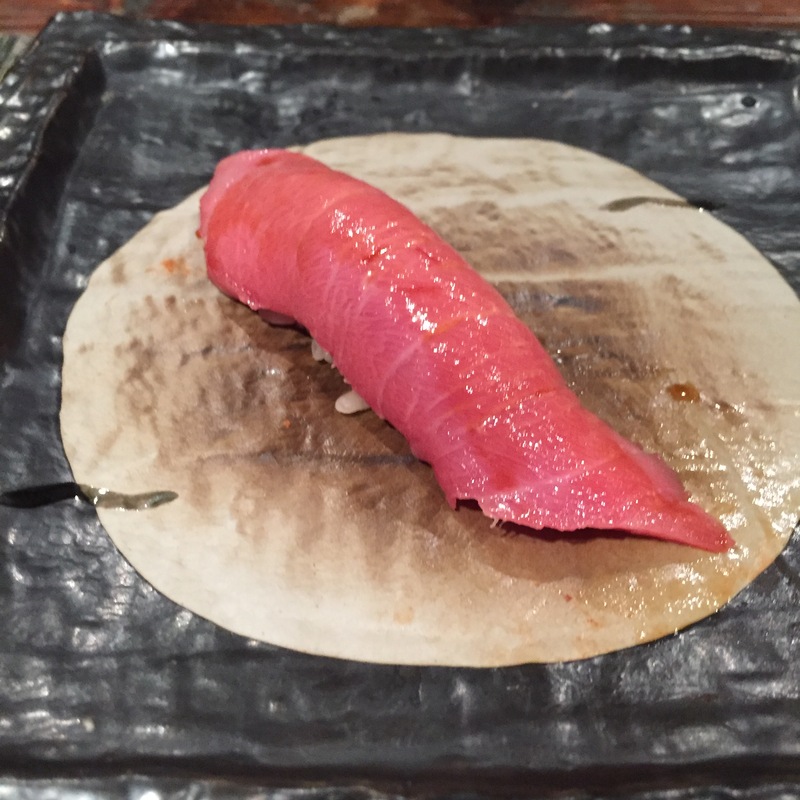 HAGASHI TORO (Medium fatty tuna) – Fatty tuna from the tail. Unlike the fatty tuna from the belly, this one is much harder to find. It’s a LOT more work. 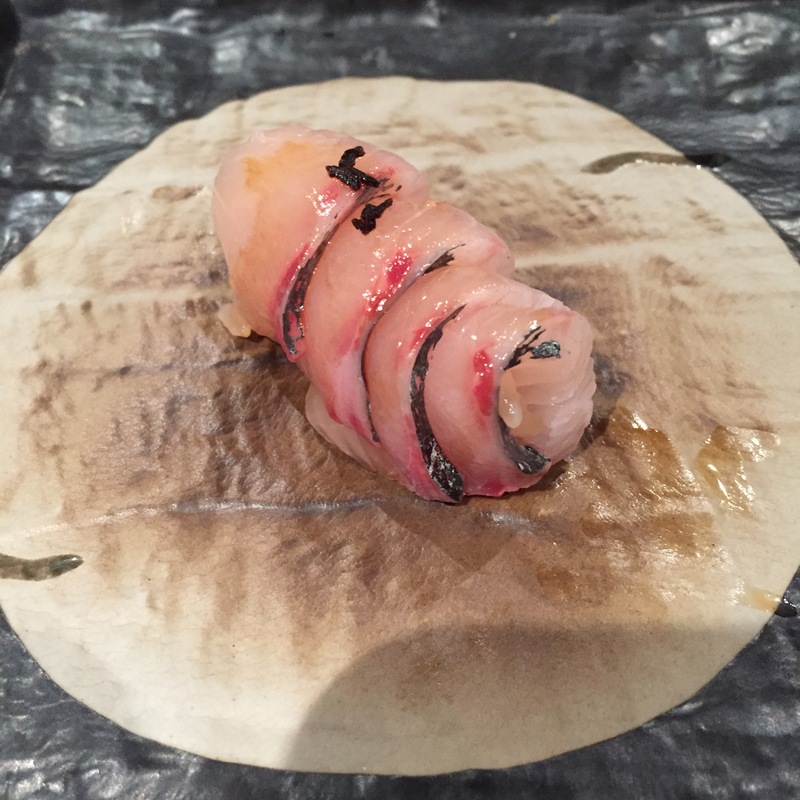 But when you get it, it’s so incredibly delicious, and unlike the CHUTORO, it never has a chew. 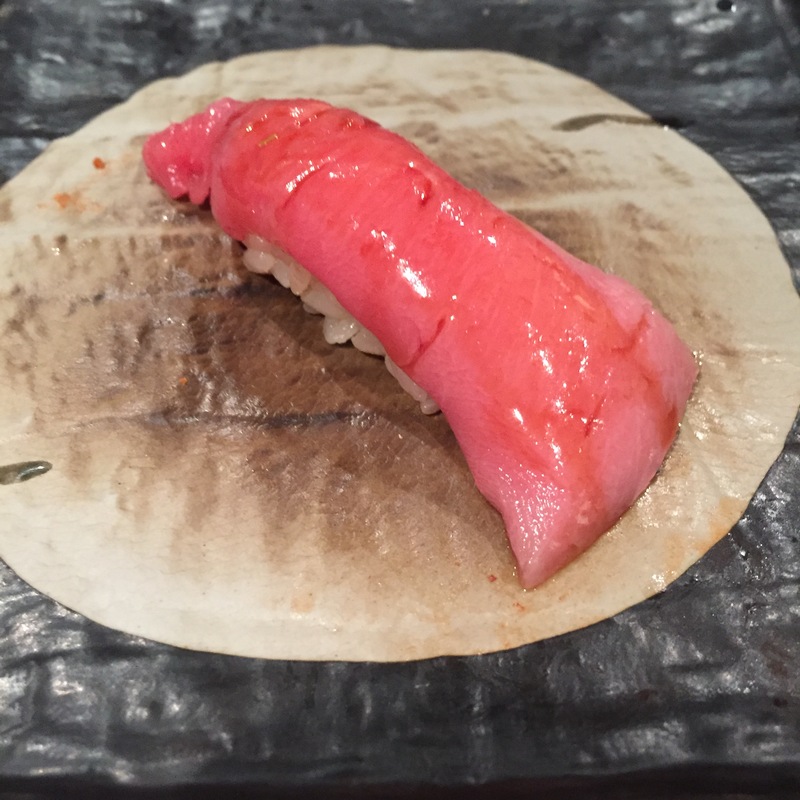 CHUTORO (Medium fatty tuna) – Medium fatty tuna from the belly. This cut was fantastic, zero chew, zero tinge of funky aftertaste. Sill a close second to the HAGASHI Toro. 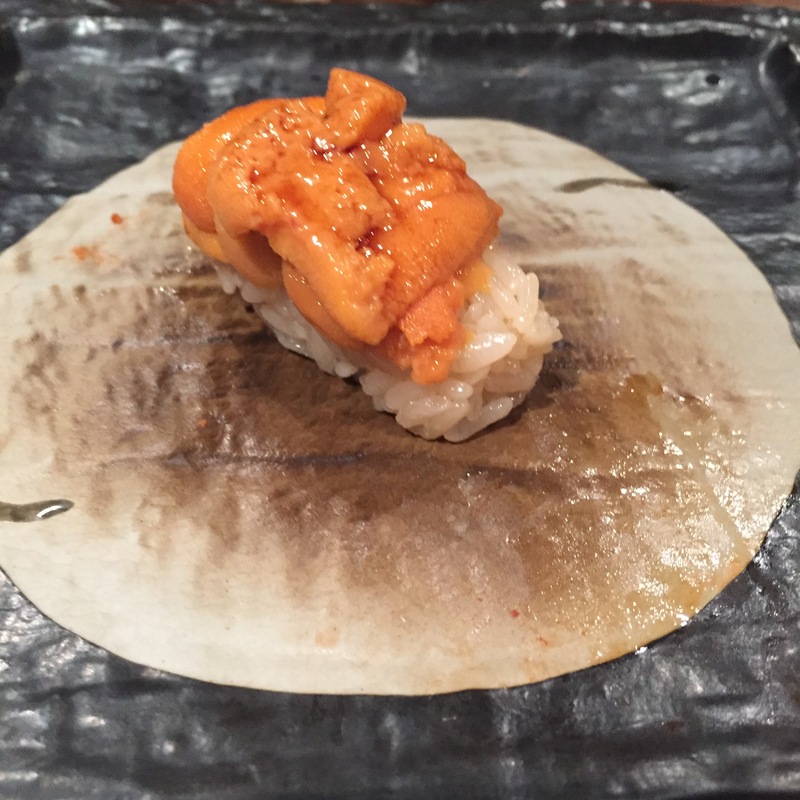 HOKKAIDO UNI – Beautifully nutty, fresh taste of the sea. So good. MEDAI and MADAI side by side – MEDAI (seabream) is the one in the front, and MADAI (red seabream) is the one in the back. You know I needed to do a true side by side comparison. You knew I HAD to. When you have them side by side, you really do see the difference of the butter in the MEDAI, and the fresher, crisper MADAI. What a TREAT!!! 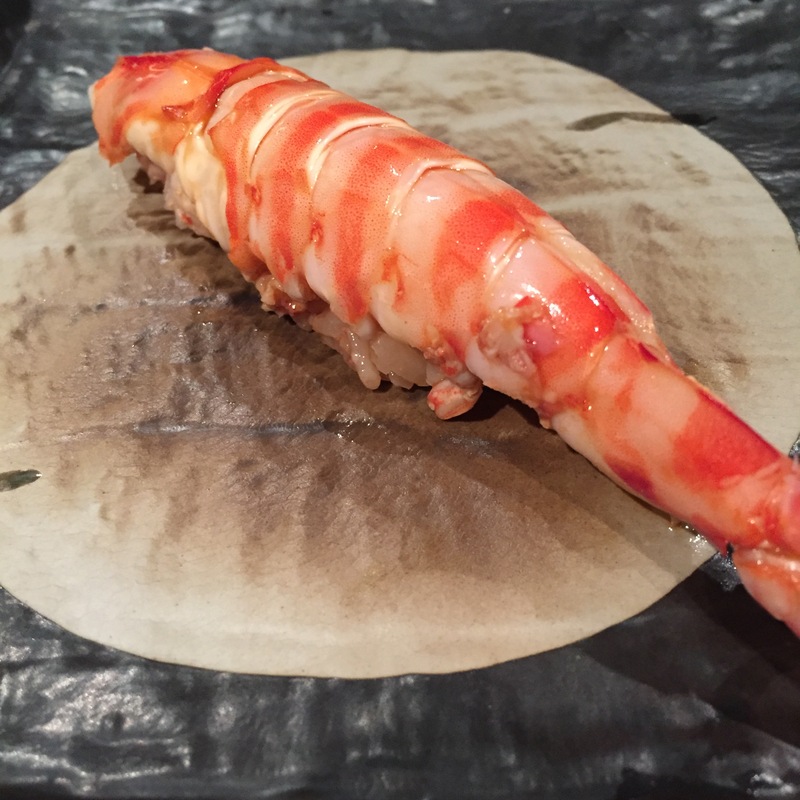 KURUMA EBI – Had to do a repeat! I also wanted to take this opportunity to warn you. While Kanoyama has probably one of the best bang-for-your-buck omakases, 18 pieces for $120, there is a $20 upcharge if you want 2 of your 18 pieces to be KURUMA EBI and HOKKAIDO UNI. In my opinion, you MUST take that option. 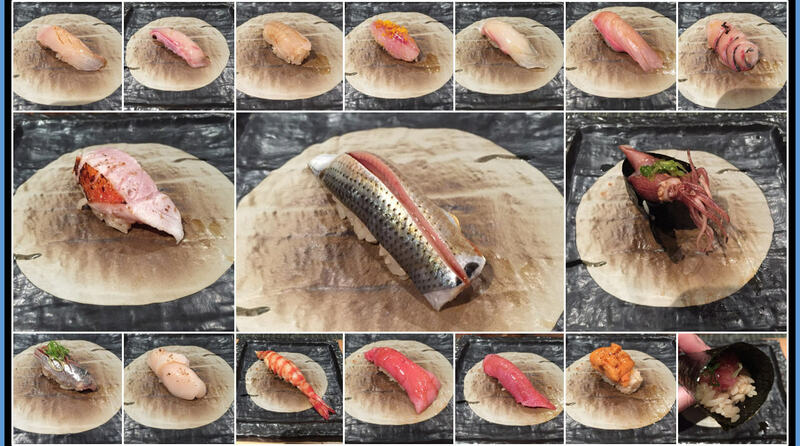 As your 18th piece, the chef will let you choose whatever you like, but if you want the KURUMA EBI and HOKKAIDO UNI, there’s another upcharge. This second KURUMA EBI was an extra $20 bucks per piece. Whatever, this is like, the bestest deal ever, so just shut up, pay up and enjoy the experience. 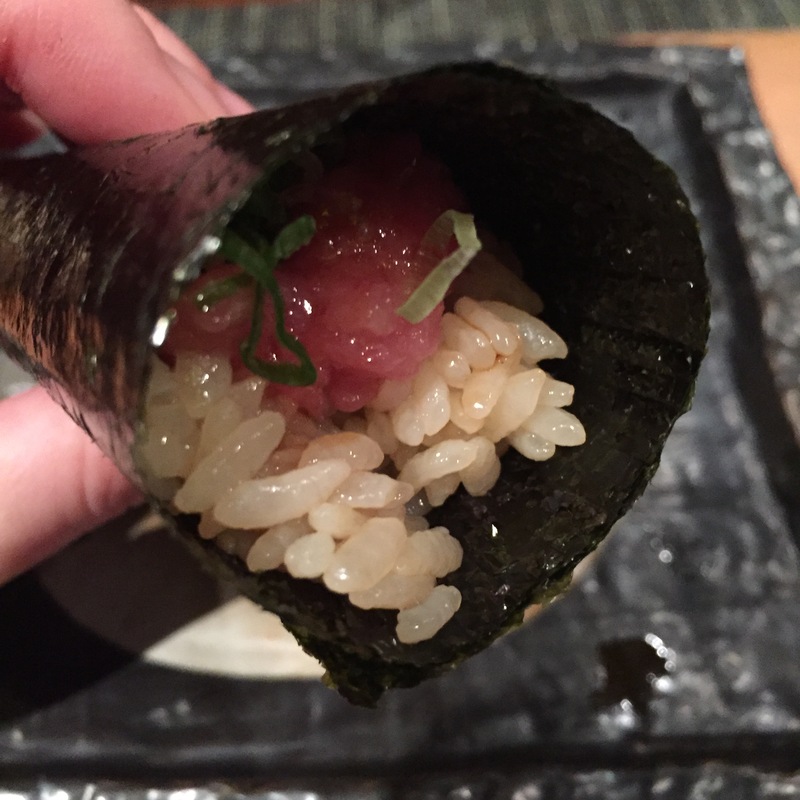 NEGITORO hand roll (TORO with scallions) – Always a magnificent end to the meal! 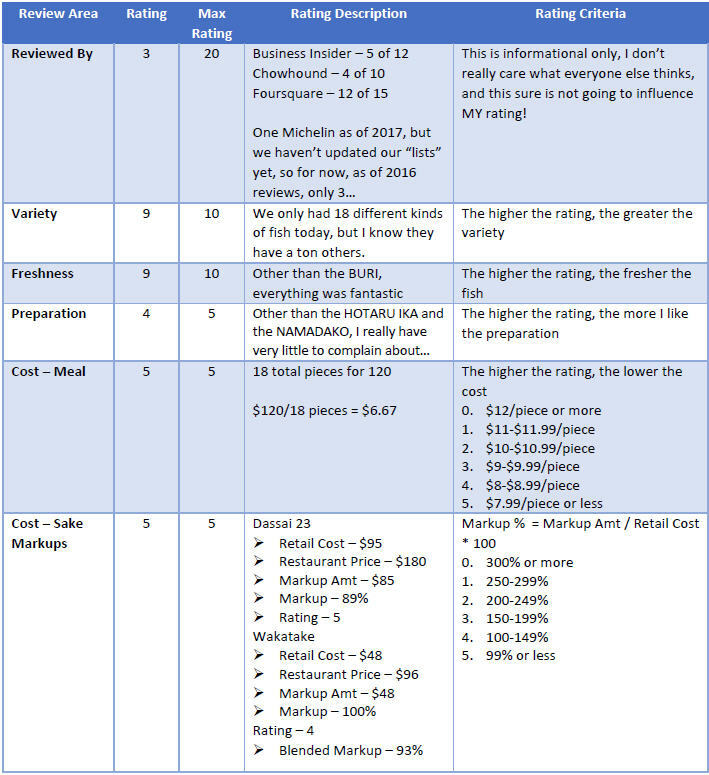 Service is always great, food always fantastic, and a bargain for what you pay. An all-around wonderful experience. We will be back again, and again, and again!